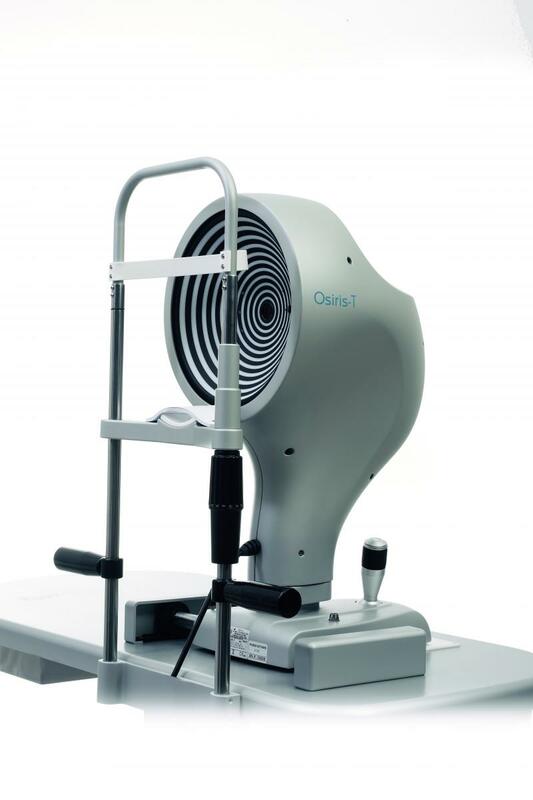 The information provided by Osiris-T, a corneal topographer combined with a total ocular aberrometer, is indispensable for the correct evaluation of patients who have, in addition to traditional low-order defects, even more complex ocular aberrations, either corneal or internal. Osiris-T has a unique pyramidal sensor design that allows the aberrometer to measure aberrations with a resolution of 45,000 points (at the maximum pupil diameter), with a wide dynamic range. 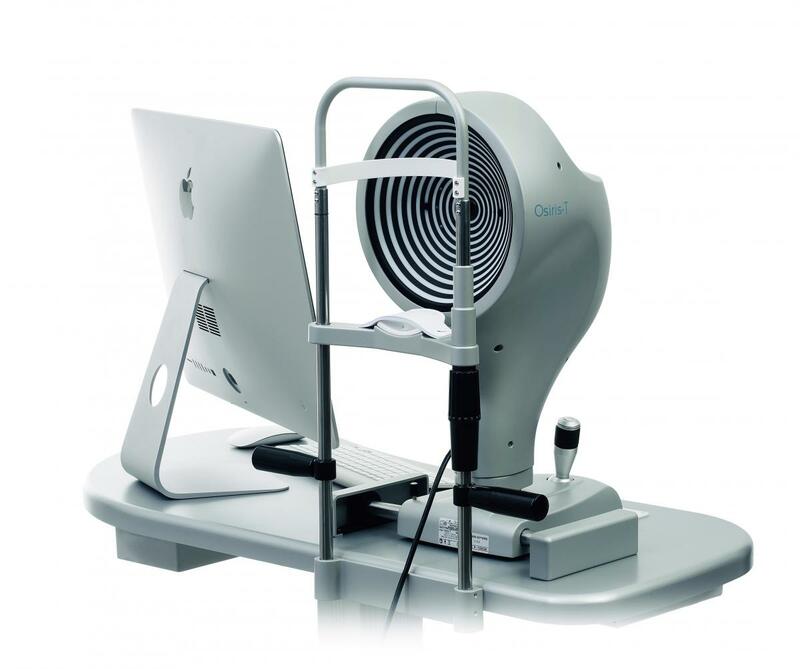 It is also able to measure the ocular wavefront in real time with a frame rate of up to 33 images per second: this makes it possible to measure and view changes in power and aberrations while the patient is accomodating. 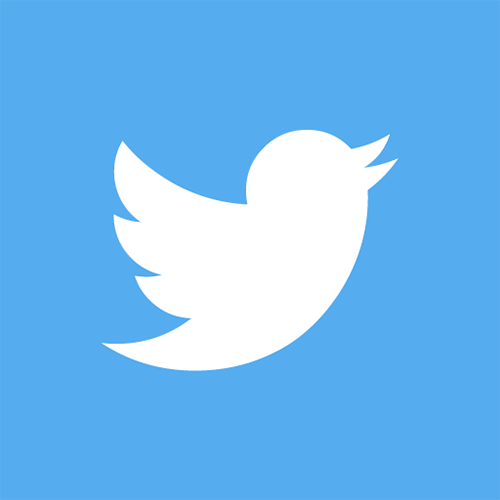 Phoenix software offers a wide range of analysis options, such as refractive error maps and visual simulations (PSF, MTF and convolution with optotype), which helps the clinician to understand and explain the patient’s visual problems. Using a reﬂection topography system based on a 22 ring Placido disk, Osiris-T is able to measure the morphology and the corneal refractive component by means of the sagittal curvature, tangential curvature, elevation and power maps. The availabilty of consolidated synthesis parameters makes the follow-up and diagnosis of keratoconus simple and intuitive. The integration of topographry and aberrometery enables the calculation of the internal component of the wavefront. For the evaluation of the performances of a toric system the combination of corneal topography imported from CSO topographers and ocular aberration makes it possible to distinguish whether any astigmatic residue is due to a rotation of the lens or to an incorrect calculation. Completely integrated with the topography of the ante- rior surface of the cornea, it performs the pupil measu- rement in scotopic (0.04 lux), mesopic (4 lux), photopic (50 lux) conditions and in dynamic mode. Knowing the center and the diameter of the pupil, is essential for many clinical procedures which seek to optimize vision quality. 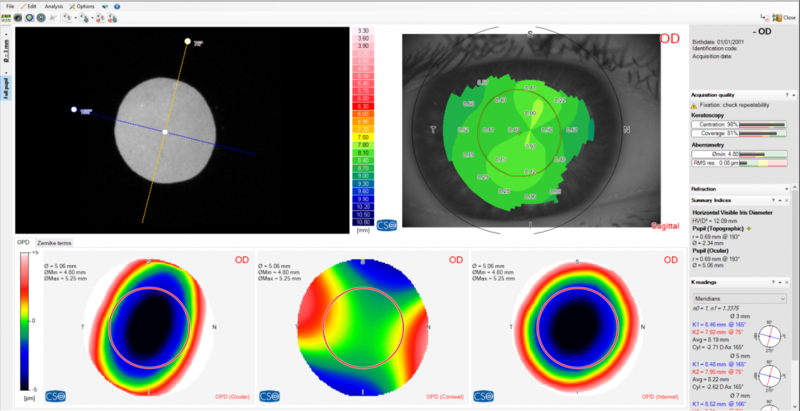 The tool integrates with the Phoenix software, offering a wide range of analysis options, such as refractive error maps and visual simulations (PSF, MTF and convolution with optotype), which helps the clinician to understand and explain the patient’s visual problems.  Phoenix software enables the analysis of the patient’s ocular wavefront, both as a deviation from the wavefront and as a refractive dfference from the ideal.